Ah, beer – it’s pretty great. Europeans are justifiably proud of their brews and, whether you’re looking to don your lederhosen and neck some steins, or dance around in traditional Czech clobber – we’ve got your back. Here are Europe’s biggest, brightest and best beer festivals. We’ll see you there. Oktoberfest is easily the largest and most famous beer festival in Europe. Munich throws open its doors every September for the much-loved event, which sees an average six million people descend upon the city. Originally founded as a one-off festival, in 1810, to celebrate the marriage of Crown Prince Ludwig and his bride, Oktoberfest has remained the jewel in the crown for Germany. Over this 16 day festival, traditionally taking place up to and including the first Sunday of October, around six million litres of beer are drank (yup, that’s a lot of beer) and 34,567,675 Bavarian outfits are worn (okay,we made that up, but we do have Bavarian costumes if you fancy donning lederhosen for the event). 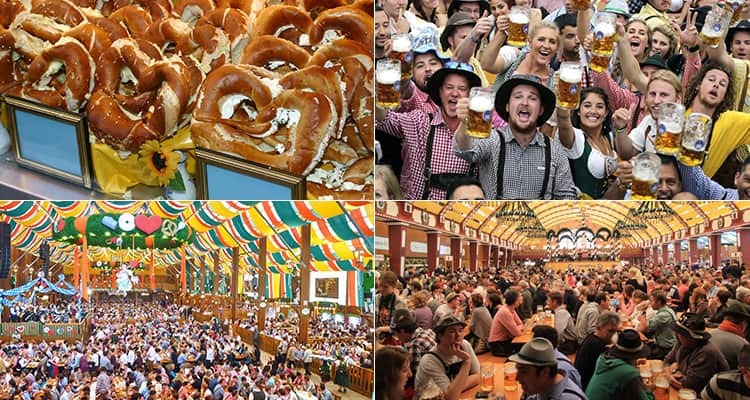 Of course, it’s not just about the beer – you can tuck into some delicious German snacks (to help soak up the alcohol) – including pork knuckles, bratwurst and potato pancakes – from the stalls lining the jam-packed streets. 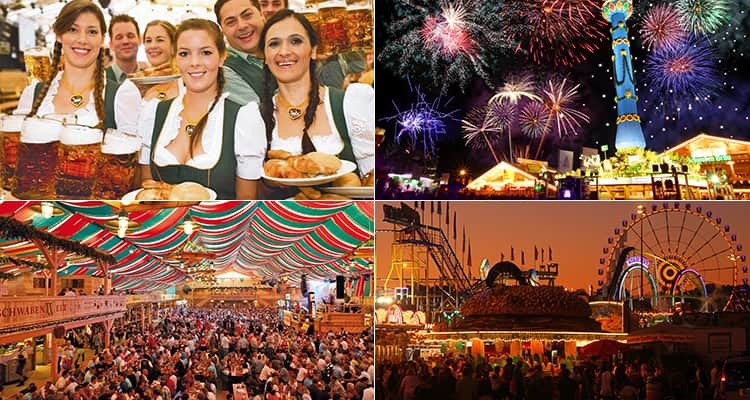 The massive Stuttgart Autumn Festival is the second largest beer festival in Germany (watch out, Oktoberfest). This epic event, traced back to the year 1818, celebrates the end of famine in the city. It attracts around four million beer lovers each year, looking for some good authentic brews and tasty food. The 17 day Cannstatter Volksfest, held in late September, is a little off the tourist track (there shan’t be any elbow jostling for steins here), but still retains the same charm as Oktoberfest (think Frankfurts, lederhosen and mega fair rides). After you’ve had your fill of beer (not that it’s possible, of course), there’s plenty to keep you occupied in stunning Stuttgart. 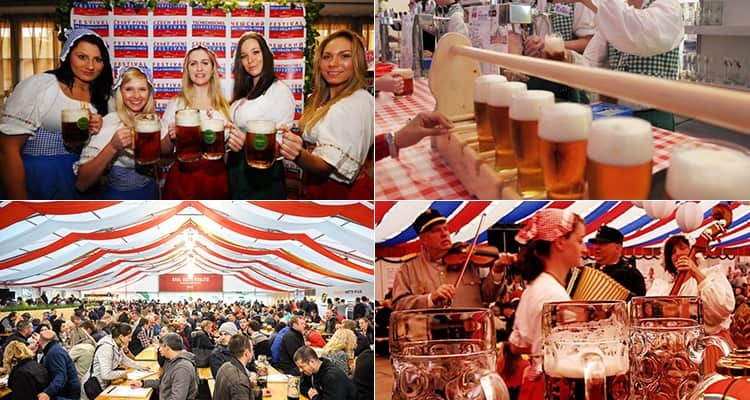 People living in the legendary Czech capital, Prague, drink more beer per capita than anywhere else (more than 320 pints per person, each year), so, of course, Prague's bound to have a festival to rival that of Oktoberfest. The Czech beer festival lasts a monumental 17 days - plenty of time for lovers of hops to sample 150 different craft brews on offer (that's a lot of beer). Each of the gigantic beer tents have their very own forms of entertainment (as well as gallons of the good stuff) - including, singers, dancers and workers dressed up in traditional Czech garb. And, not only can you sample a whopping selection of beers from around the world, but you can also tuck into some proper Czech grub. Sounds like our kind of afternoon. 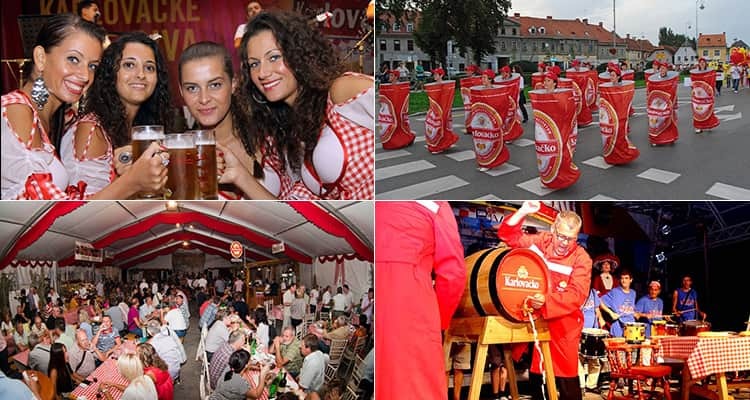 The Karlovac Beer Festival is the largest event in charming Croatia. What was originally started by a Karlovac brewery, in 1984, has gone on to become one of Europe's biggest and much loved celebrations. 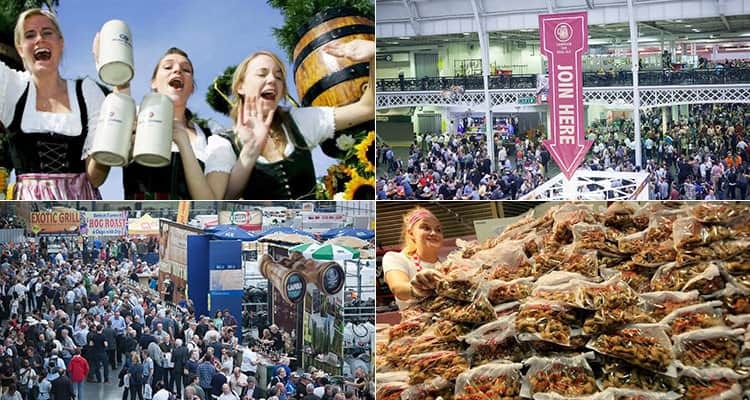 Over 10 exciting and beer fuelled days, hundreds of thousands descend upon the country and sample over 50 different types of beer, from every country you could possibly imagine. Tourists, and locals alike, flock here to witness the city's fascinating and long tradition of beer making, the parades and sample the delicious dishes - such as Karlovac pretzels - and, of course, take in the sights (including the iconic setting for King’s Landing from the TV series, Game of Thrones) and top up their tans. When it comes to German beer festivals, you’d be forgiven for thinking about Oktoberfest, but there’s one big player in the world of beer you are forgetting. 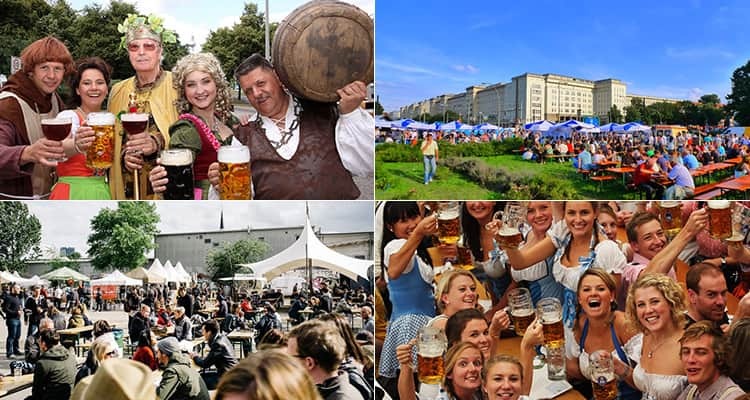 The International Berlin Beer Festival, home to the world’s longest beer garden, is a two day extravaganza, located in the heart of the city. Each year, around 300 breweries come together to showcase their unique brews from countries all across the globe, between the bustling Strausberger Platz and Frankfurter Tor. This enormous beer fiesta features entertainment and music from live bands (as well as those who may have had a few too many) and sees an average 750,000 people drink, dance and party the night away. London's Great British Beer Festival, or GBBF for short, is styled as the ‘biggest pub in the world’. Some 50,000 people flock to the capital city come August and, if you can’t make it abroad for Oktoberfest, this event is a cracking second. GBBF hosts some of the UK’s best breweries and features around 900 different ales, beers, ciders and perries – so you can be sure to experience the perfect pint (seriously, it’s an occasion not to be missed). Despite the name, GBBF showcases a phenomenal variety of international beers from far flung places across the globe – including, of course, Germany’s world-famous brews. Not only can you spend a couple of days tasting new delights, you can also tuck into a healthy dose (literally, thousands) of pork scratchings. If you fancy taking in a beer festival on your last night of freedom, give us a bell and we'll see what we can do. Cheers!